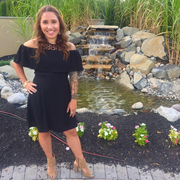 Hi my name is Kelly, I am a social worker and graduate of Rutgers University. I work full-time and I am looking for weekend and occasional night sitting. I am a very energetic outgoing person who enjoys working with children of all ages. I have strong communication skills and relationships with children and people from different parts of the world. I am very respectful person with a bubbly personality who truly enjoys the company and care of children.